Shotaro Nagasawa knows about living on the edge. Fistfights, bloodshed and near-death encounters seemed to dog the teen wherever he went. He lost track of the number of times he was ambushed by thugs on his way home — they’d run him down, knife him in the leg, and beat him with metal bats and bricks. 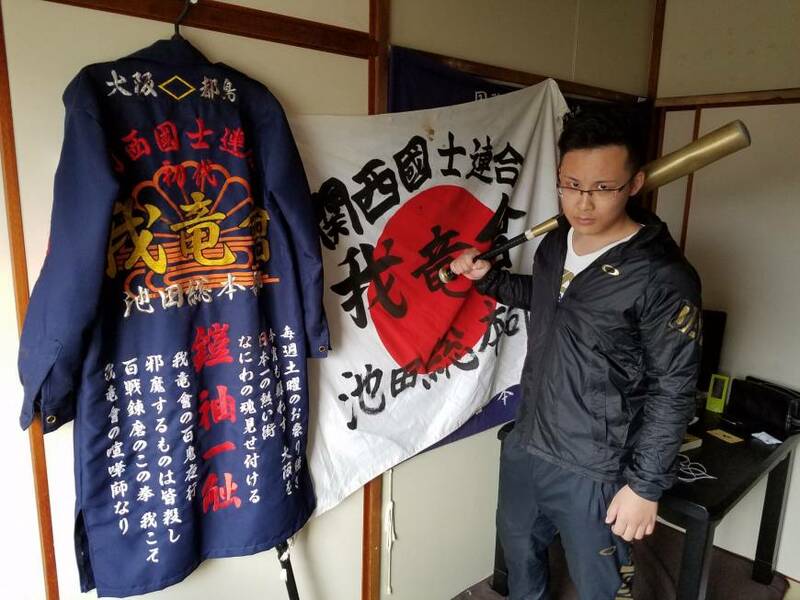 The Osaka native never felt safe, even inside his home, and kept baseball bats in every room of his apartment so he could strike intruders at any time. 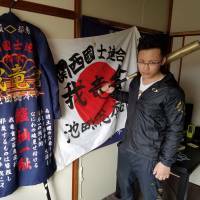 Such ordeals came with the territory: Nagasawa was, until last year, a member of the local bosozoku motorcycle gang. His pugnacity had fueled constant friction with other juvenile delinquents and even the yakuza. 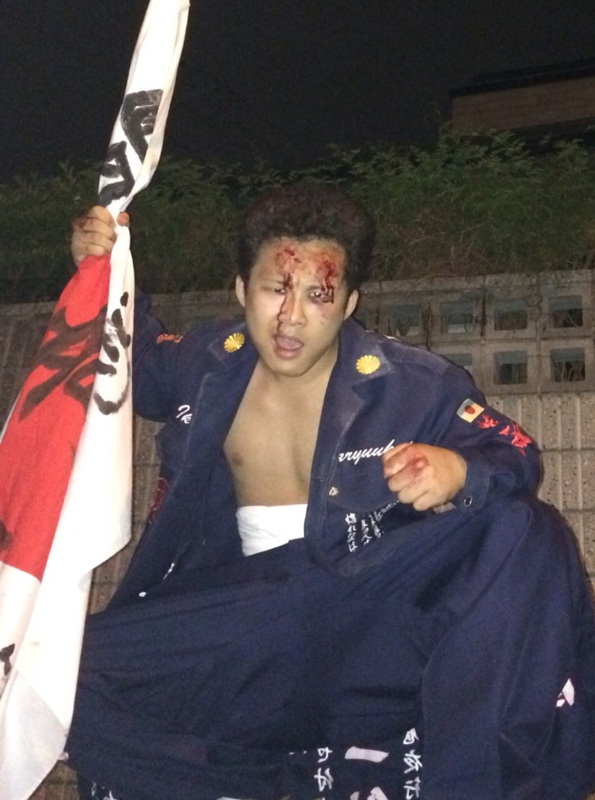 “When you’re a bosozoku, you don’t run away from fights or get scared of cops. You’re game for anything. 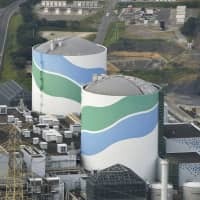 I was even ready to die,” Nagasawa said in a recent interview at his home in the city of Osaka. On the wall of the room a tokkofuku combat uniform that he used to wear when riding was hanging — a proud legacy of the heyday of his youth. “I was just hooked by the bosozoku style. It’s so Japan,” said Nagasawa, 20, who left the gang at age 18 after two years of membership. Although today he has become a freelance consultant on juvenile delinquency, Nagasawa was until recently a paragon of the postwar bosozoku counterculture that statistics show is now on the brink of extinction. After years of intensifying police crackdowns, what was once the bastion of youth rebellion has given way to other forms of juvenile delinquency that experts say are more capricious, underhanded and invisible. It is against this backdrop that some now call for a rethink of the stigma that has long been attached to bosozoku, who they argue represent virtues such as respect for seniors and a fighting spirit that few delinquents exhibit today. Bosozoku became a dominant form of Japanese delinquency in the 1970s and ’80s. 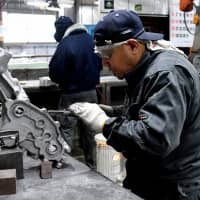 In countries like the U.S., Canada and Australia, biker gangs have long been associated with drug trafficking and organized crime, but this is not the case in Japan, although some members “graduate” to careers in the yakuza. Bosozoku began as marginalized youngsters swarming the streets in droves, expressing disaffection and anger and sometimes getting into deadly skirmishes with rival gangs. They adopted peculiar fashion styles as proof of their anti-social persona, donning the tokkofuku, which typically features the Rising Sun symbol and slogans in kanji. And they tightly ironed their hair into “punch perm” coiffures of short, tight curls they felt accentuated their masculinity. 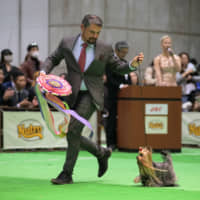 Each group was bound by a rigid age-based hierarchy that often led to ceremonial hazings known as yaki, in which senior members roughhoused rookies under the pretext of knocking some konjo (guts) into them. But over time the bosozoku culture gradually succumbed to the advent of more easy-going, Americanized forms of delinquency, including gyangu (gang) and timu (team), whose members characteristically sport sagging pants and longer hairdos, and listen to hip-hop music. National Police Agency statistics show the number of bosozoku members peaked at 42,510 in 1982, but has steadily declined since, hitting a record low of 6,771 in 2015. In a further blow to the shrinking community, the monthly magazine Champ Road, the unrivaled “bible” of bosozoku known for its controversial coverage of customized motorcycles and yakuza-style tattoos, folded last month after a nearly 30-year run. But the dwindling number of bosozoku does not necessarily mean their threat to the social fabric is gone. In fact, police now face new challenges in cracking down on them. 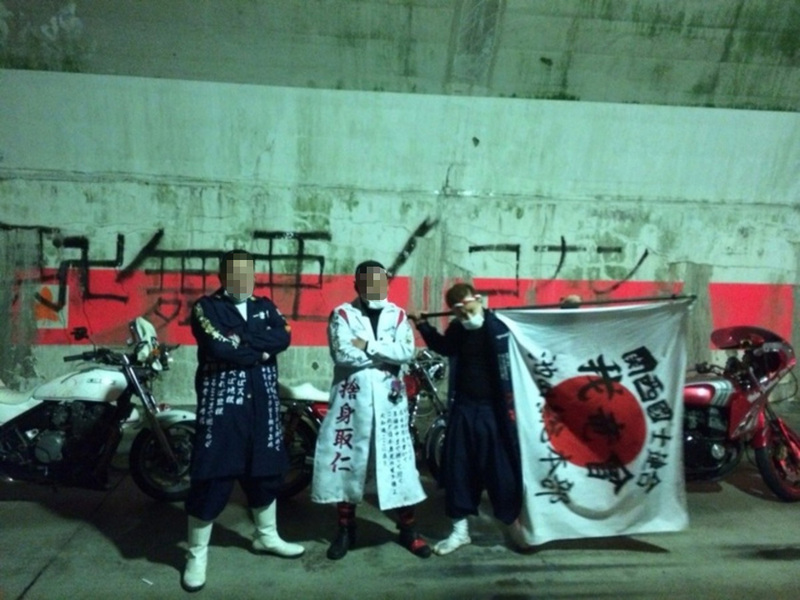 By all accounts, bosozoku tribes today are not as tight-knit as they used to be. Where once they massed weekly at central points to plan their wild rides, today the timing and location of their activities has become sporadic. Such spontaneity, the NPA says, makes it harder to anticipate their activities and identify those who perpetrate crimes. The authorities, as a result, now scour cyberspace for leads on bosozoku activities, according to an NPA official who declined to be named, citing internal policy. 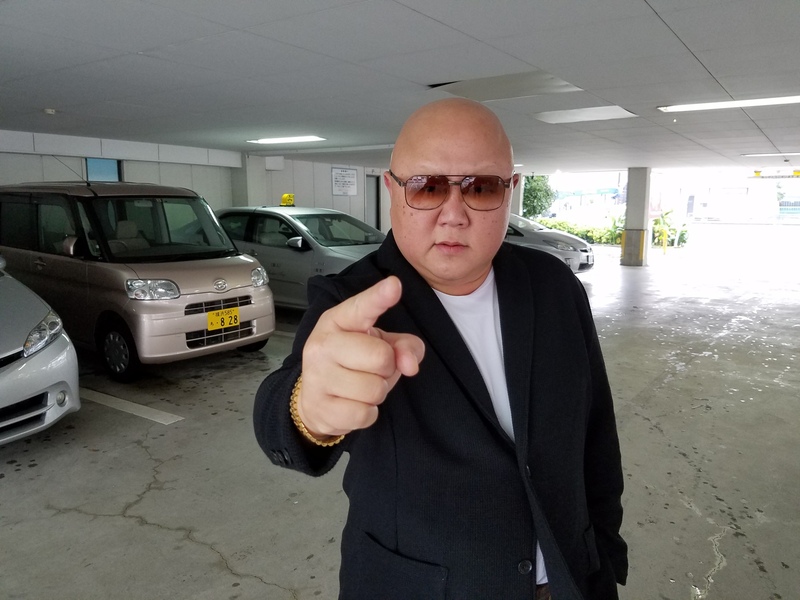 But as far as traditional bosozoku are concerned, “they are all but gone,” said freelance journalist and self-styled juvenile delinquency expert Kenichiro Iwahashi, who himself was a bosozoku in Yokohama in his youth. “In our time, even if we were arrested for being bosozoku, we were rarely put in jail unless we really messed up. But today, the law has gotten stricter and surveillance cameras are almost ubiquitous,” Iwahashi said. There is no law that bans people from joining bosozoku, whose members are most commonly arrested for traffic law violations, including reckless driving, which can be subject to a prison term of up to two years. Charges stemming from the illegal modification of bikes is also common, drawing a possible three-month prison term. In 2004, the law was revised to expand the scope of reckless driving subject to criminal penalties as part of an effort to stiffen the crackdown on bosozoku. 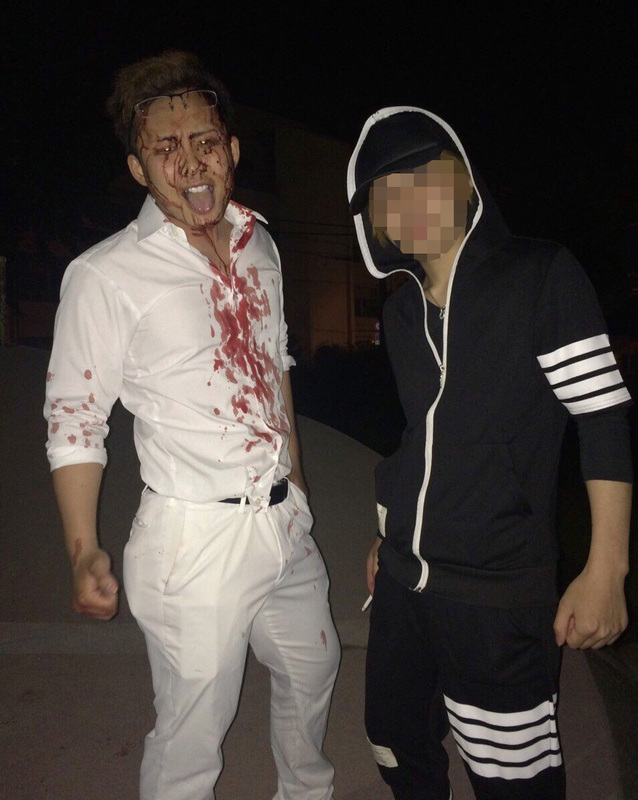 “Given all those risks, you’d have to be really hard-core” to be bosozoku today, Iwahashi said. 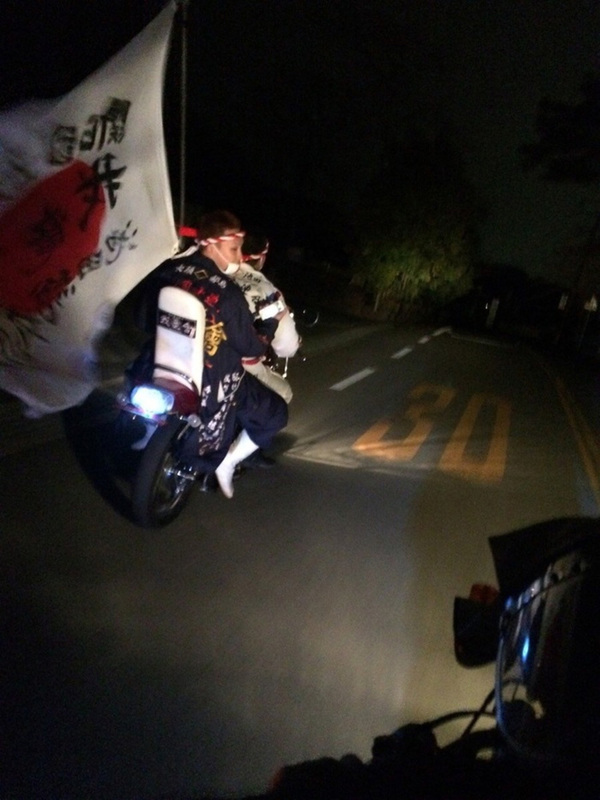 Meanwhile, contrary to the decline in bosozoku, groups of kyushakai (old bikers), have increasingly risen to prominence, posing another headache for the authorities. A kyushakai is ostensibly a group of adult — and to a lesser extent, teenage — motorcycle aficionados, many of whom are former bosozoku. 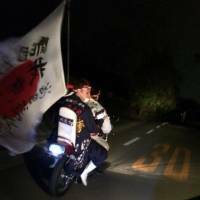 While kyushakai members insist they observe traffic rules, police are largely unconvinced, seeing them as “a secret nest” of bosozoku, according to the NPA official. The number of kyushakai groups and members recognized by the police reached 578 and 6,173 in 2015, respectively, jumping from 369 and 3,510 in 2006. Take 21-year-old Ryo, who belongs to a kyushakai group in the Shingashi neighborhood of Tokyo’s Itabashi Ward. Ryo, who asked to be identified only by his first name, voiced dismay that kyushakai tend to be lumped together with bosozoku. “Unlike bosozoku, we abide by the rules. We steer clear of residential areas. We don’t dominate the road and always keep to the left side. Whenever we ride, we even give the police a heads-up so they can trail our crowd to make sure we don’t misbehave,” he said. 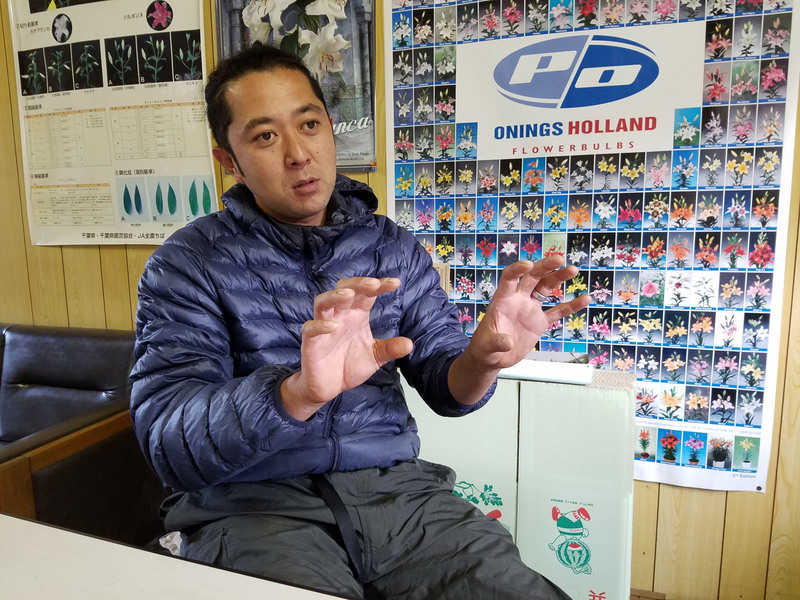 Still, he admitted that kyushakai and bosozoku are similar in terms of how they modify their bikes, such as by cutting off mufflers for louder sound and tilting their license plates to avoid identification. “I just want to go on a ride with my close friends and senpai (seniors) for fun. That’s all,” Ryo insists. Although to many people bosozoku are known chiefly for their wild, law-breaking hedonism, others argue there are sides to them that have largely been overlooked. Kenji Tanaka, president of Chiba-based farming company Vegefru Farm, launched a trailblazing internship project in 2013 looking to hire former yankii (delinquents) as part of an effort to help them reintegrate into society. 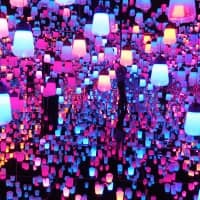 The Chiba native is a strong believer in the potential of traditional Japanese yankii, who he says have a lot to offer to society if their unique mindset can be focused in the right direction. 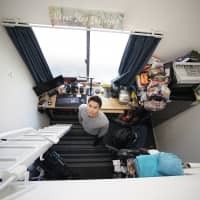 “For starters, having survived the strict hierarchy in their communities, these folks instinctively know how to respect their seniors,” said Tanaka, 38, who in his adolescence co-founded a bosozoku group with a friend. Bound by a strong sense of camaraderie and loyalty, they don’t betray their friends easily, and their fighting spirit is admirable, he said. The most prominent cases involving juvenile offenders in recent years include the 2015 slaying of 13-year-old Ryota Uemura by a gang of minors he associated with in Kawasaki. Earlier this year, 16-year-old Tsubasa Inoue was drowned in the city of Higashi-Matsuyama in Saitama Prefecture after allegedly being forced to swim naked in a river by a local group of hooligans to which he belonged. 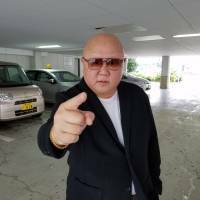 Like Tanaka, ex-bosozoku journalist Iwahashi, too, bemoans the lack of “standards” among today’s delinquents, and sees the lynching cases in Saitama and Kawasaki as a testament to their loss of integrity. “Back in our time, when we got into a fight, it was first and foremost to prove that we were stronger than whoever we were feuding with. So the instant our opponents admitted defeat and apologized, we’d stop right there, because there is no status you could gain from further beating up people who had already prostrated themselves,” Iwahashi said. “But today, it’s all about bullying. … Kids don’t know where to draw the line,” he said. 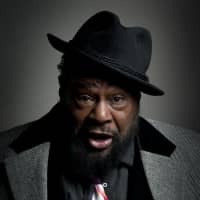 He argues that society’s growing tendency to shun physical punishment — once a prominent tool for teaching children right from wrong — has resulted in today’s children being clueless as to how painful a blow is or when to rein in their violence before someone is killed. Whereas bosozoku directly confronted the establishment, modern juvenile offenders have become more underhanded, unleashing their aggression on those weaker than themselves, according to Junko Okamoto, an associate professor of clinical psychology at Teikyo University who long served as a family court probation officer. “So back in those days when bosozoku were active, it was easy enough to spot delinquents. 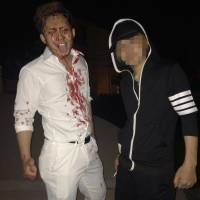 They got into a public brawl, smoked on the side of the road or were being chased after on the street for shoplifting or something,” Okamoto said. “But today, few acts of delinquency surface. They’re becoming invisible,” she said.